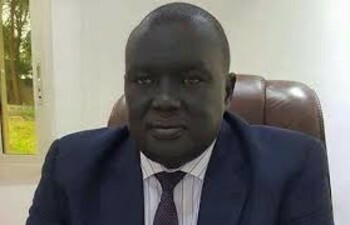 On Thursday, the Sudan People’s Liberation Army (SPLA) dismissed reports claiming that rebels in Aweil had captured an army base in the country’s Aweil East State. “The SPLA did not clash with any rebel forces anywhere in Bahr el Ghazal. There has been no confrontation with any hostile groups and our forces have maintained their positions since the ceasefire was declared. The propaganda on social media about the foreign-based anti-peace elements is just a white lie. It is untrue and our forces are in complete control of Warguet at this very moment,” said the government forces’ acting Spokesman in a statement on Thursday. Meanwhile, in a separate interview, Warguet County Commissioner, Garang Aguer also denied the claims, saying his area had not witnessed any military activities. “What I have been reading on social media is nothing but shameless propaganda. No rebels are in the area and no clashes have ever taken place. This is just a propagandistic ploy by the betrayers and bloodsuckers to get money from their financiers by making these baseless claims. There is nothing like that at all,” said Aguer. The Commissioner and the military Spokesman were responding to a report in which the rebel South Sudan Patriotic Army (SSPA) Spokesman, claimed that a unit of their fighters named DOT BAAI (Save the Homeland) brigade, had killed 80 government soldiers, including a Commander and his 6 bodyguards. The Commander was identified as Mathiang. The rebels further claimed that dozens of the SPLA soldiers had been injured in a battle that ended with the capture of Warguet, the SPLA base, at 3:00 am local time on Thursday. Warguet is a strategic military garrison that is stationed at the River Kiir on the South Sudanese border with Sudan. The town is an old railway station. The rebels also claimed that they had lost one person, Col. Yel Deng Akok, while two fighters Lt Col Younis Gom Wel and First Lt Anei Deng Mareng were injured. “Our gallant forces, the SSPA, are still in full control of the area despite the heavy reinforcement and heavy shelling,” the rebels said in a statement. 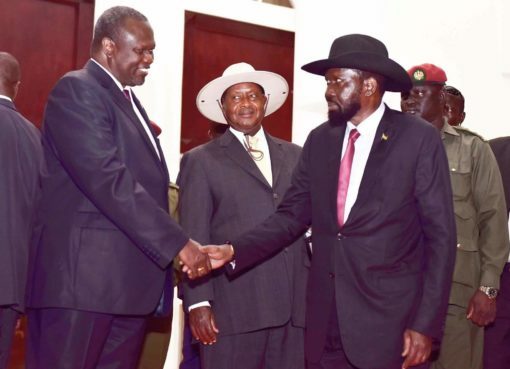 This occurrence is that latest situation in South Sudan since President Salva Kiir announced plans for a National Dialogue, where he barred some rebel leaders from attending. The rebels claim to have captured 37 AK47 rifles from the SPLA, including 1 PKM, 1 AUOIN 81, and the destruction of a military tank and 2 Land Cruiser trucks. They also claim to have destroyed the military bases’ water distribution system and to having attacked a combined force of the SPLA and the Darfur rebels government of Sudan. Observers confirmed that the presence of the Sudanese rebels would strain the already delicate relationship between Juba and Khartoum because Khartoum has repeatedly accused Juba of aiding the Darfur rebels. Two weeks ago, Khartoum paraded military vehicles and weapons, saying it was captured from the Darfur rebels. Military ware is said to have come from South Sudan and other regional countries. On Thursday, June 8, South Sudanese rebels in the south of the country attacked a military convoy on the highway connecting Juba to the Ugandan border, killing several people including an SPLA Colonel and 8 other soldiers. The South Sudanese rebels seem to have intensified their operations. Another rebel group in the Northern Upper Nile region, commanded by Gen Johnson Olony, claimed to have attacked and overrun another government military garrison at Kuek on Saturday, June 10. Details of the casualties were not easily available. The Northern Upper Nile rebel faction is part of an armed opposition faction under the former First Vice President, Riek Machar. Sources say that the two groups are in advanced plans of merging into one group. South Sudan descended into chaos 3 years ago after a disagreement between President Kiir and his then Vice President, Machar. 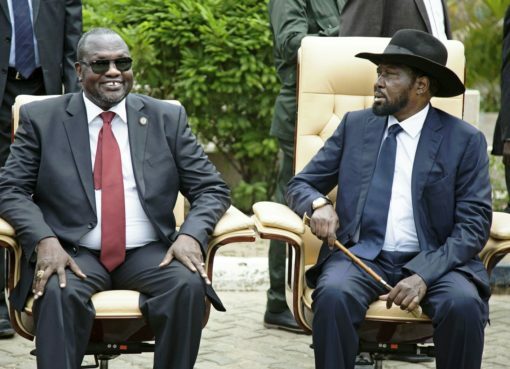 The short-lived peace settlement saw Machar join the government as the First Vice President, but broke apart amid accusations and counter-accusations, resulting in some of the bloodiest clashes in Juba. Since then, several armed groups have emerged fighting the Juba government. The SSPA led by Gen Agany Ayii Akol is emerging as one of the biggest threats to Juba. Gen. Akol, previously a senior commander of the SPLA, fled Juba early last year and formed the SSPA. The group claims to have more than 15, 000 fighters, largely in Bahr el Gazal, close to the Sudan border. The United Nations say the crisis in South Sudan is on the verge of becoming the world’s worst crisis. It is said that more than 3 million people have been displaced during these violent times, resulting in 1 million fleeing into neighbouring countries, especially Uganda. The UN has also accused both rebel and government troops of human rights violations including attacks akin to ethnic cleansing.